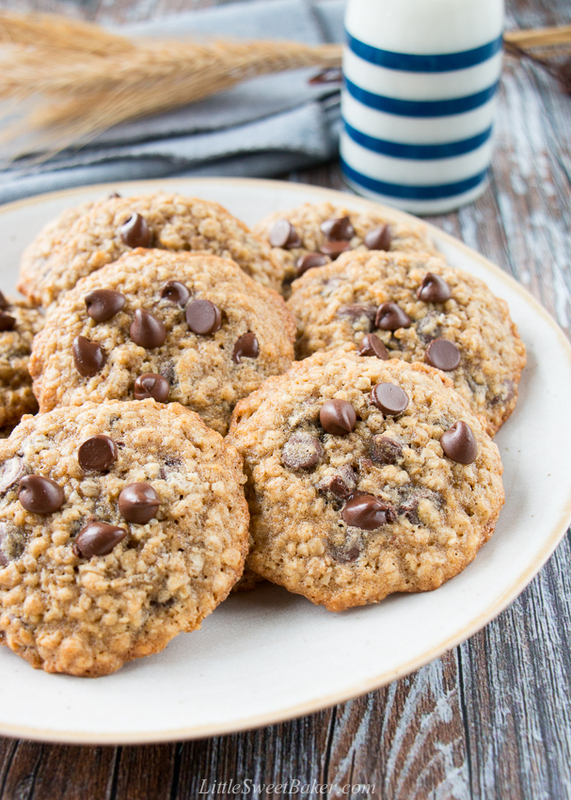 These oatmeal chocolate chip cookies are crispy on the edges, soft in the middle, and loaded with chocolate chips. 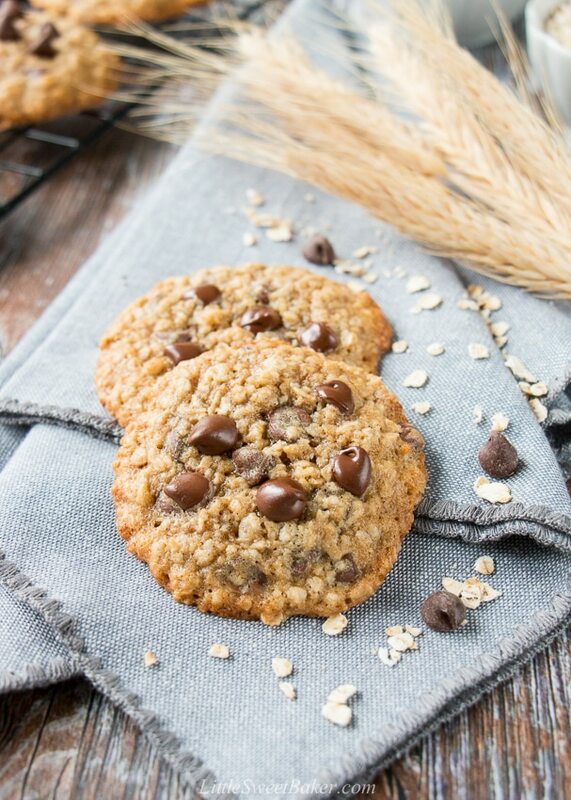 They are a perfect mix of decadent chocolate chip cookies and wholesome oatmeal cookies. We had our first snowfall yesterday and my five-year-old woke up excited when he saw that there was snow on the ground. His eyes lit up and he was like “Mommy, there is snow outside.” with the cutest smile on his face. Yup, only a child would get excited about seeing snow, lol. I get it, it’s pretty and fun to play with if you’re into that sort of thing, but it’s also darn cold. 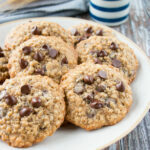 So to warm things up inside, I’ve been baking these oatmeal chocolate chip cookies for my husband and kids, and my husband’s co-workers. 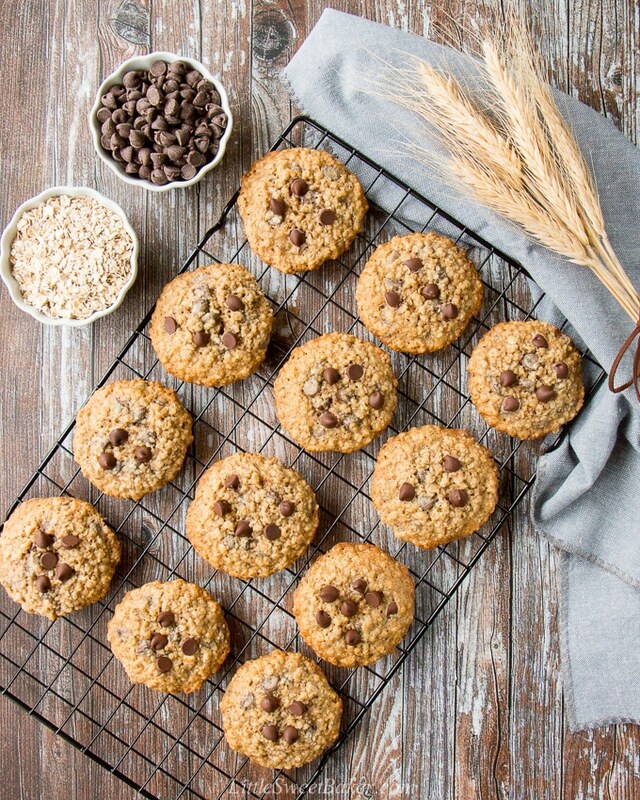 This recipe is an adaptation of my Soft and Chewy Oatmeal Scotchies. I simply swapped the butterscotch chips for semi-sweet chocolate chips and increased the sugar a bit to compensate for the sweetness. What I like about this recipe is that it makes a good amount of cookies and there is no chilling involved. The cookies stay soft for days, and they are great for school lunches and after school snacks. To make these cookies, you simply toss some flour, baking soda, salt and cinnamon together. In another bowl, you cream together the butter and sugars. Mix in some eggs and vanilla. Then mix in the flour mixture. Fold in the rolled oats and chocolate chips. Now the batter is quite thick, so it is a bit of an arm workout, but well worth it. Bake for 10 minutes and you’re done! 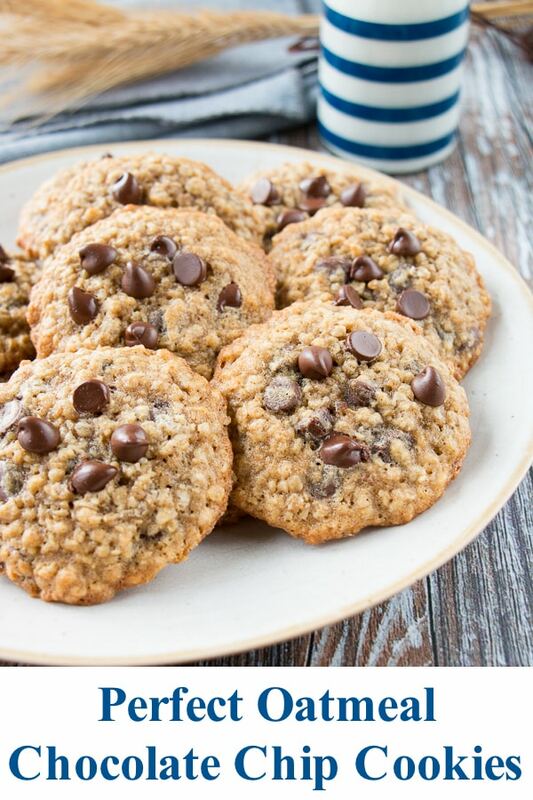 These oatmeal chocolate chip cookies are hearty and delicious. They have perfectly crispy edges along with a soft center. 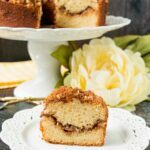 They are loaded with chocolate and warm notes of brown sugar and cinnamon. They taste wholesome and decadent at the same time. In a medium bowl, whisk together the flour, baking soda, salt and cinnamon. Set aside. 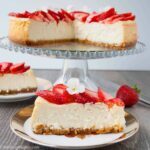 In a large bowl, use an electric mixer to cream together the butter and sugars. Add the eggs and vanilla and beat until mixed. Gradually add in the flour mixture, then stir in the oats and chips. 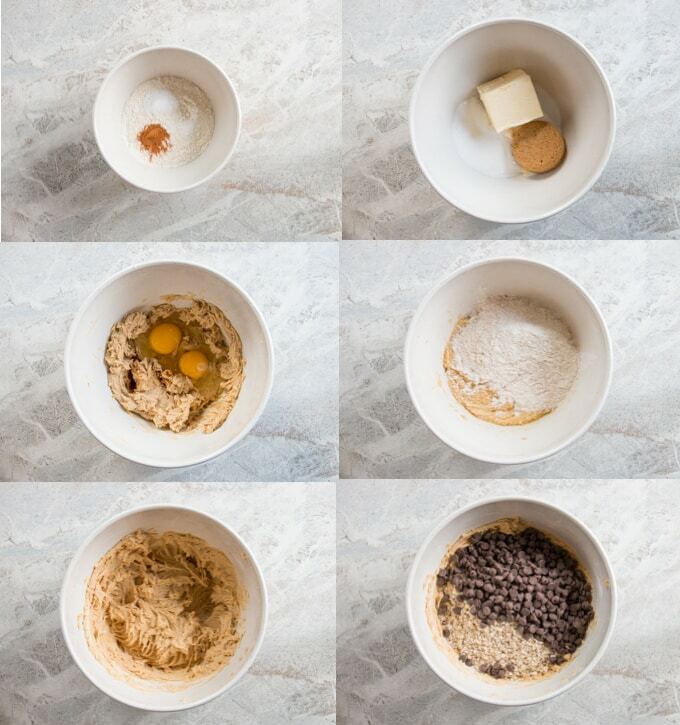 Using a medium cookie scoop or tablespoon, drop rounded cookie doughs onto the prepared baking sheets. Bake one sheet at a time for about 9-11 minutes or until the edges start to brown. The cookies will be soft and look slightly undercooked in the center. Let cool for 5 minutes on the baking sheets before transferring to a cooling rack. Store in an airtight container at room temperature for up to 5 days. I’ll be sharing this at Fiesta Friday #250 hosted by Angie and co-hosted by four fabulous ladies this week! 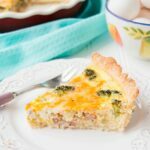 Jenny @ Apply To Face Blog, Jess @ Cooking Is My Sport, Jhuls @ The Not So Creative Cook and Judi @ cookingwithauntjuju.com.